Angry protesters have prevented Georgian president Mikhail Saakashvili from delivering his state of the nation address. It comes as the country's parliament postponed the address after Saakashvili's party refused to agree on limiting executive power. 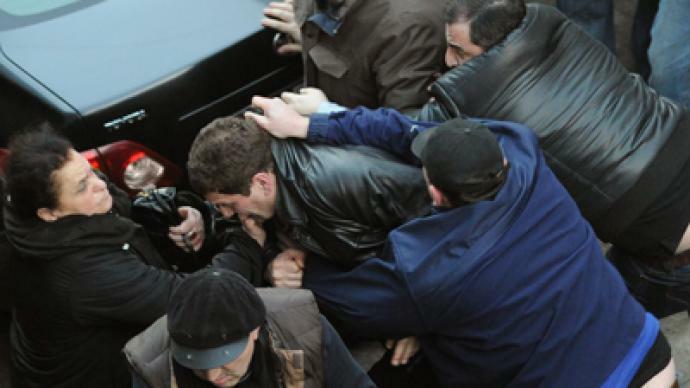 Scuffles broke out between former political prisoners and supporters of President Saakashvili. The embattled president, whose party lost parliamentary elections to the opposition in October, was forced to deliver a televised speech from his residence. “The president decided to give a televised address, and not to come to the library, to avoid civil unrest. He will give the address at 8 pm (4 pm GMT) local time from his residence,” Saakashvili's spokesperson Manana Mandzhgaladze told the press on Friday. 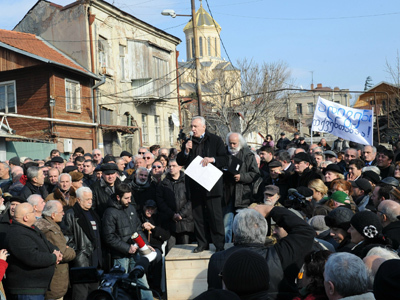 She also accused Saakashvili's rival Prime Minister Bidzina Ivanishvili and his supporters of organizing the protest. Earlier, the country’s parliament indefinitely postponed Saakashvili's annual address after his minority United National Movement refused to cooperate in the creation of amendments to the constitution that would limit the president's authority to dissolve the parliament and approve a new government without the legislature’s approval. 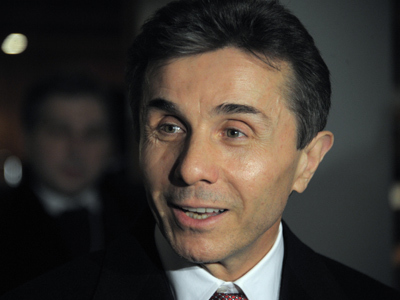 The majority Georgian Dream party, led by the billionaire Ivanishvili, holds 85 of the in the parliament’s 150 seats and needs support from some of its opponents to get a constitutional majority. However, this did not happen. 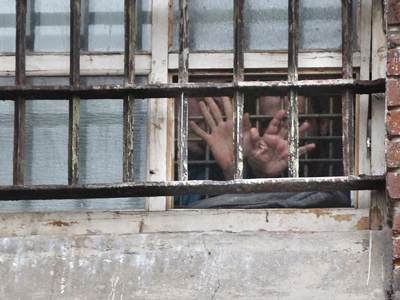 Georgian Dream won the election despite numerous legal obstructions and political pressure from Saakashvili’s regime. Ivanishvili became prime minister and appointed the new government, but Saakashvili remains president and most of the regional administrations are still headed by people from his United National Movement. 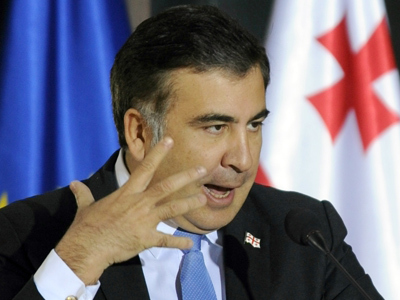 In the Friday state of the nation address, Saakashvili however stated that a compromise with Georgian Dream is possible. He said he may support some amendments regarding the presidential powers. Hailed in the West as an exemplary democratic ruler, Saakashvili lost popular support as a result of his crackdown on the opposition and claims of human rights abuses.